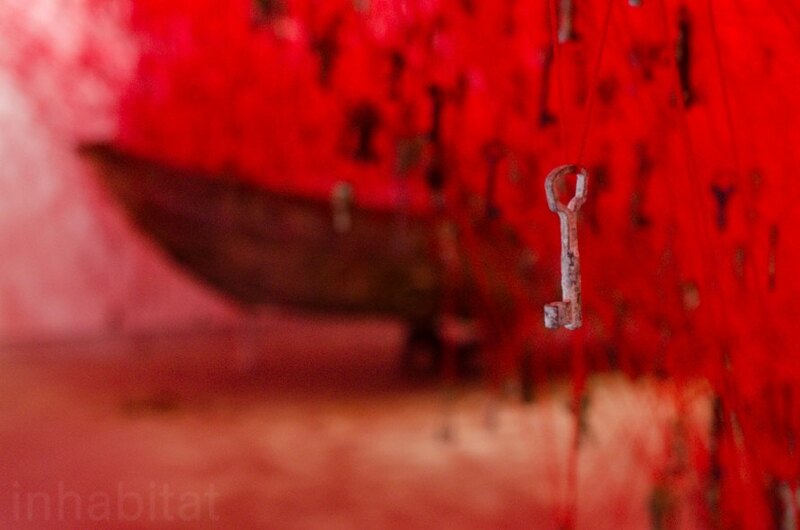 The Japanese Pavilion is one of the most evocative spaces at the <a href="http://www.labiennale.org/en/calendar/">Venice Art Biennale 2015</a>. 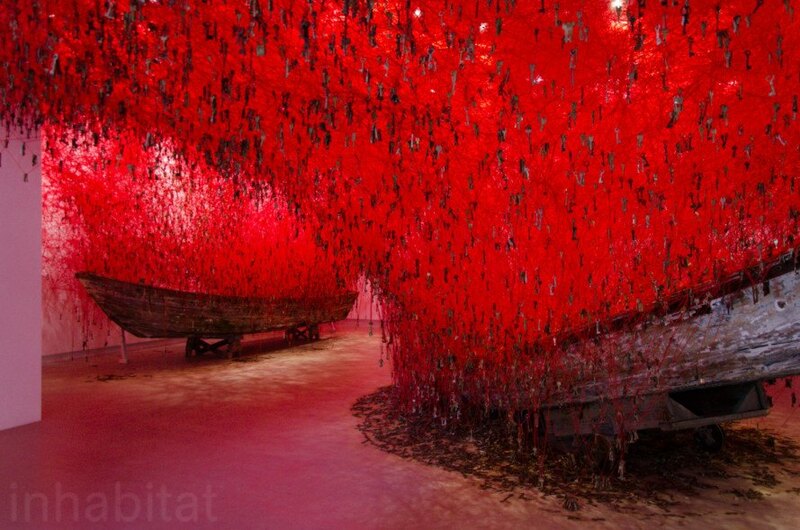 Once you step inside, you dive into a suggestive world tangled by hundreds of meters of red yarn and keys suspended from the ceiling draped over two large wooden boats placed right in the middle of the room. 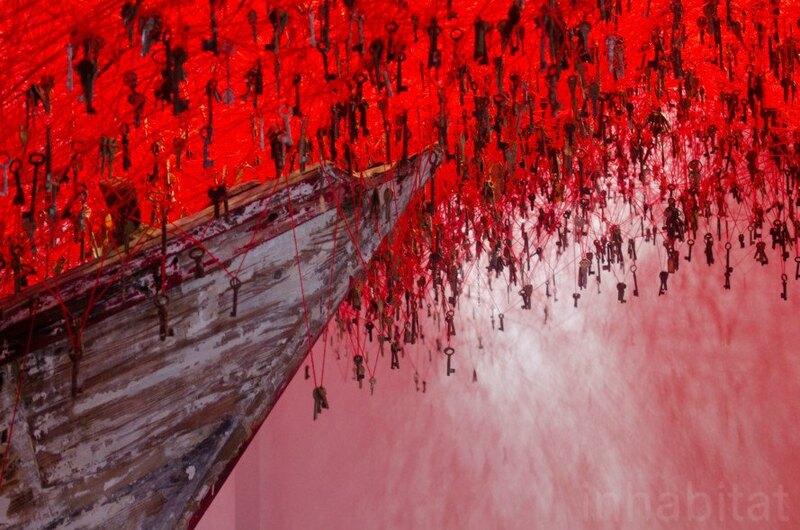 The large scale Japanese installation entitled “The Key in the Hand” is a site-specific work of art conceived expressly for the 56th Venice Biennale by the Osaka-born and Berlin-based contemporary artist <a href="http://www.chiharu-shiota.com/en/">Chiharu Shiota</a> in collaboration with the pavilion curator Hitoshi Nakano. 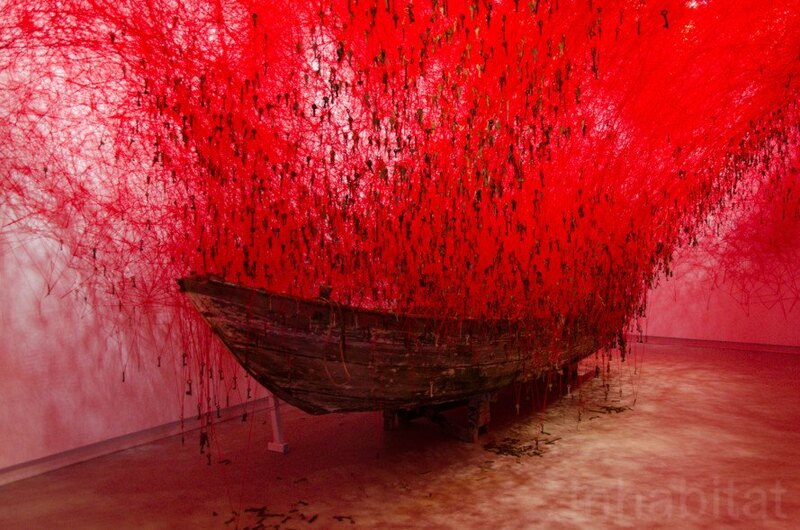 Although Shiota’s work transcends social, cultural, historical and political contexts, the artist’s intimate concern and anxiety, and a sense of the darkness related to the theme of life and death, is evident for visitors willing to read between the lines. The work is latently linked to the <a href="https://inhabitat.com/tag/japan-earthquake/">Great Tohoku Earthquake</a> that hit the country in 2011, leaving in its wake an unprecedented number of victims and widespread destruction. 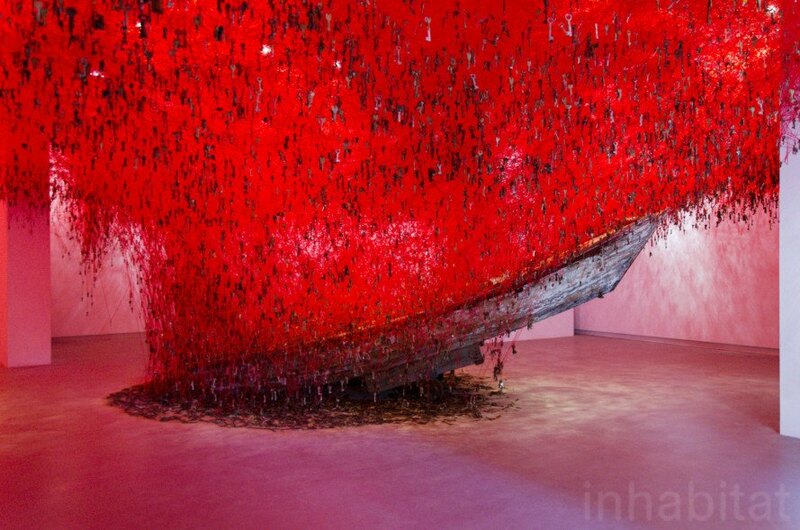 In attempt to overcome deep and still unhealed emotional wounds caused by the tragedy, Shiota’s large format installation conveys a feeling of life, light, hope and spiritual brightness. 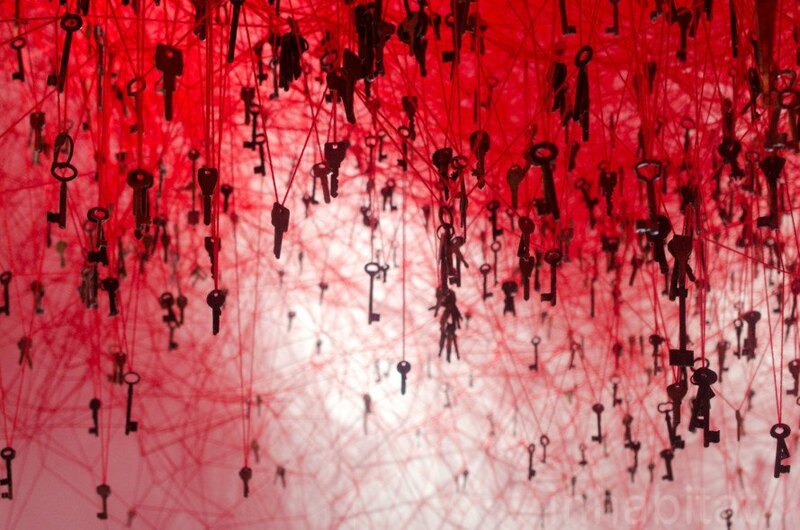 Keys suspended on the red yarn can be seen as a symbol of security and protection. 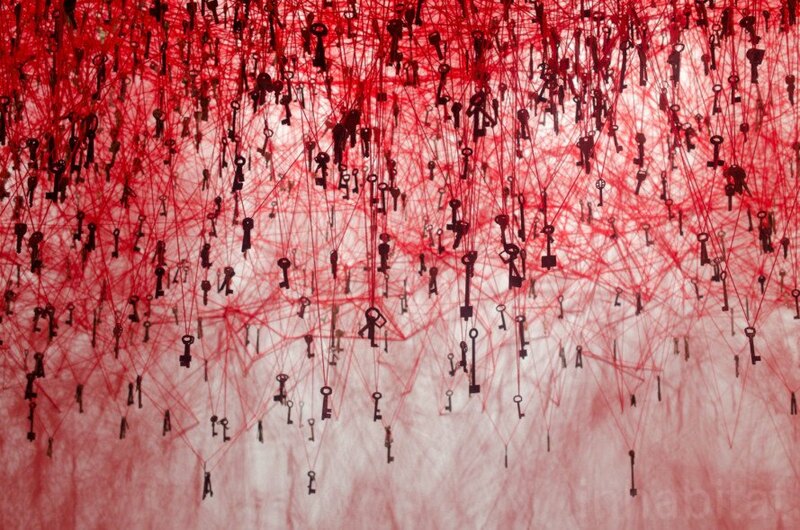 As Shiota notes, in our daily lives, keys protect such valuable things as our homes, property and personal safety. They also guard our memories, in addition to our love and trust toward intimate friends and family members. 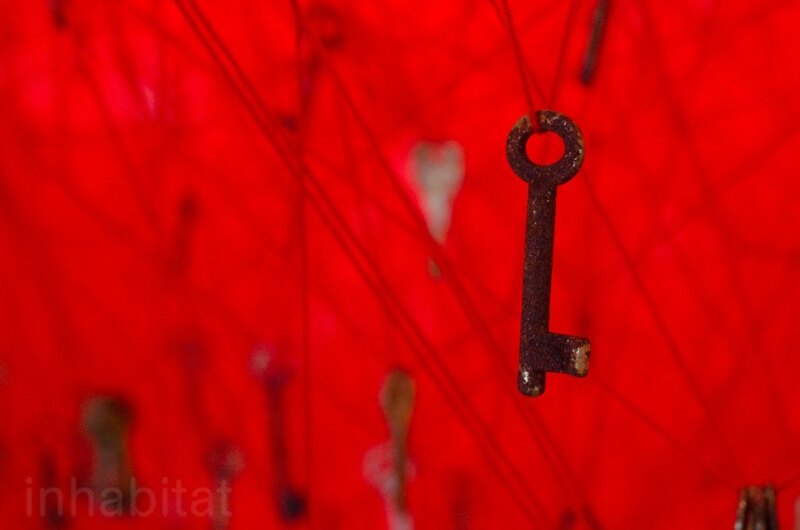 Keys also guard our memories, in addition to our love and trust toward intimate friends and family members. After a few moments the shocking first impression one has entering the Japanese pavilion gradually recedes. 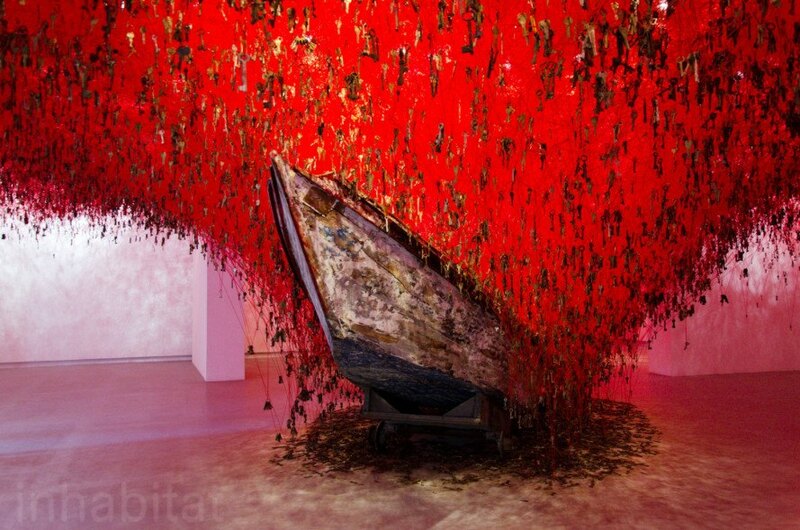 The discomfort and the image of dangling in raging bloody waves next to sinking keys is slowly replaced with a sense of hope. The two boats no longer seem like the last two vanishing witnesses of a tragic event. Instead, they represent a struggling force moving forward in the unpredictable sea of life, within the precarious state of things plaguing not only Japan but the whole world. They are nothing but a metaphor of two hands catching a rain of memories pouring down from the ceiling. 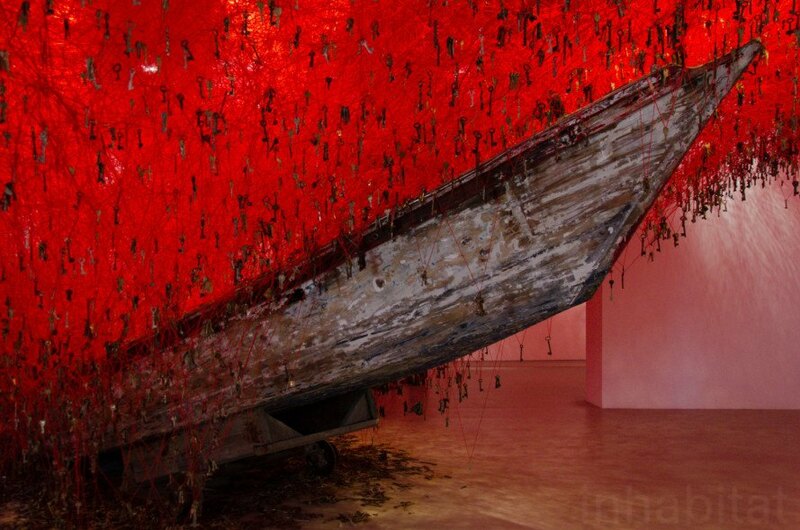 The Japanese Pavilion is one of the most evocative spaces at the Venice Art Biennale 2015. 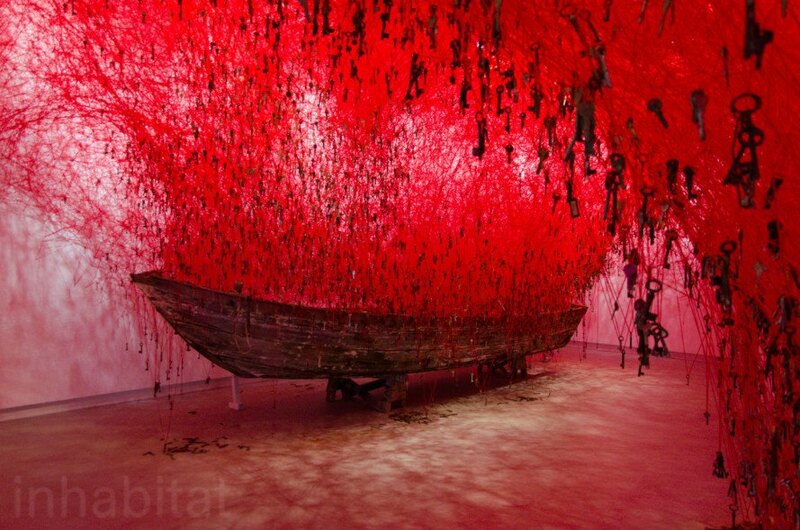 Once you step inside, you dive into a suggestive world tangled by hundreds of meters of red yarn and keys suspended from the ceiling draped over two large wooden boats placed right in the middle of the room. 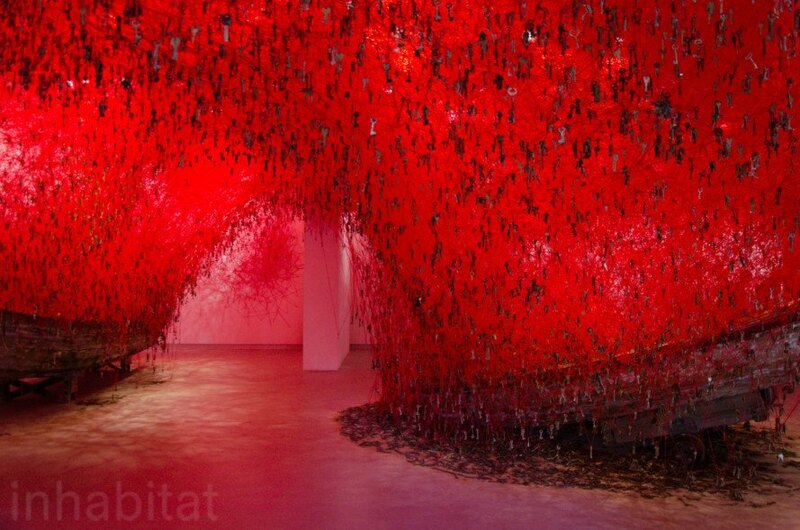 The large scale Japanese installation entitled “The Key in the Hand” is a site-specific work of art conceived expressly for the 56th Venice Biennale by the Osaka-born and Berlin-based contemporary artist Chiharu Shiota in collaboration with the pavilion curator Hitoshi Nakano.